The training course will take place on Tuesday 1st and Wednesday 2nd May before Michelle makes visits to the school and community groups assisting the newly trained facilitators to deliver the programme while also putting on a festival for the children. 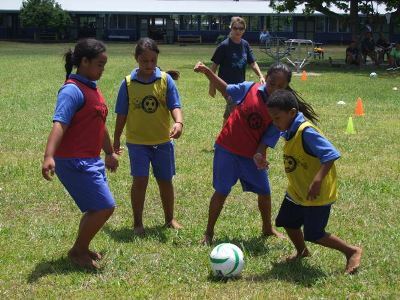 The Just Play Programme is currently making waves throughout the Pacific as it reaches more and more children in disadvantaged areas and gives them all the opportunity to have Fun while taking part in organised activities where equipment and resources are provided to make it all possible. Ten participants have been confirmed to take part in the training course this week and will become facilitators to deliver the Just Play Programme in their respective areas. 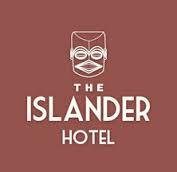 Michelle is looking forward to the opportunity of sharing this programme with the community of Atiu as well as seeing the excitement and enjoyment it is sure to bring to the children of the island. The Just Play Kits which include bibs, balls, cones, whistles, rings and pumps as well as Teaching Manuals and resources have been freighted to Atiu ahead of the course and will be distributed to participating groups following the completion of the course. We would like to acknowledge Air Rarotonga for their assistance in discounting freight costs to transport the equipment to Atiu. Just Play is funded by the Australian Government (AusAid), UEFA, and Oceania Football Confederation.